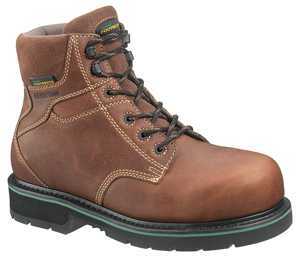 Many Saf-Gard shoes are so well built that they come with a 30-day unconditional comfort guarantee. 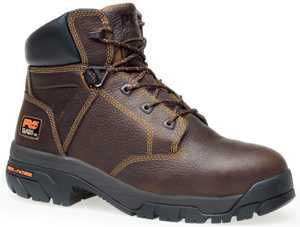 Saf-Gard’s full line of comfort footwear includes work boots, athletics, casuals, and dress shoes. Our work boot with the American Podiatrists Medical Association’s Seal of Acceptance. Wolverine Durashocks are lightweight and shock absorbent, yet durable enough to hold up in tough manufacturing environments. Hushpuppie Professionals utilize Bounce Ô outsole technology to absorb the impact of walking on concrete floors. Hy-Test Footrests, Wolverine Durashocks, and Hushpuppie Professionals are always guaranteed 30 days unconditionally for comfort. Safety shoes must fit correctly to be comfortable. Saf-Gard warrantees fit for anyone who is measured by us and takes the recommended size. This warranty is good for 30 days from a customer’s initial safety shoe purchase. If a fit problem occurs in this period, we will replace the shoes with the correct size in the same style. Saf-Gard offers this fit warranty because we believe it’s our job as professionals to help you get the right shoe for the job. All of our mobile store managers have been trained to measure and fit correctly. Additionally, we offer the best selection of sizes and widths in the industry. Our sizes range from 4 - 20 in men’s and 3½ – 12 in women’s. Widths include N, M, W, WW, AA, A, B, C, D, E, EE, EEE, and EEEE.